You are here: Home › What to do about your bed? What to do about your bed? If you have confirmed bed bugs in your home, the next question might be what to do about the mattress. It’s pretty normal to not want to sleep in your bed after discovering you have bed bugs in your house. However, changing where you sleep to another area of your house, can mean you are spreading the infestation by moving the bait. Because bed bugs want to eat they will find you if you begin sleeping on the sofa, or in another room. 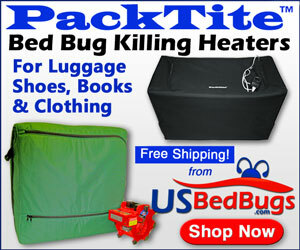 Bed bugs find their food by sensing your warmth, odor, and the carbon dioxide you emit when you are breathing at rest. 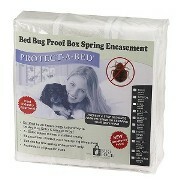 If you begin sleeping somewhere else, bed bugs will move to that location to try and get a meal. That is all bed bugs care about, eating and reproducing. Most pest companies will recommend you keep sleeping in your bed. In order for chemical treatment to be effective bed bugs need to bite you so they will drag their heavy bodies through the pesticide. In other words, you are the bait. Should you throw away your mattress? Typically no. It’s better to treat the mattress with steam and/or pesticides labeled for both bed bugs and bedding, and then encase the mattress and box-spring. If you can only afford one encasement, it is suggested you cover the boxspring as mattresses are more easily inspected. If there are holes in the mattress it should be encased. Laboratory tested encasements are built to keep bed bugs that might be in your box-spring and mattress from getting in or out. After your infestation is gone, you might want to consider a new mattress, but it isn’t necessary with proper encasements. 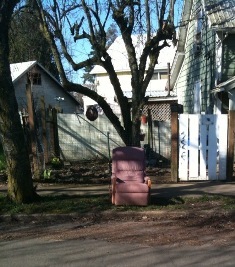 It’s not uncommon that some people choose to dispose of certain infested items rather than treat them. This is a personal decision, and there can be a variety of reasons why someone might choose this route. Some beds would be difficult to treat successfully, such as platform beds that have numerous hidden recesses. Furniture such as sofas and chairs can be treated with Vikane gas, or with steam and pesticides. Wrap any furniture you are going to move from your home, or apartment in plastic so that it is completely covered and taped closed. Plastic tarps, or stretch wrap are available at most home improvement and some grocery stores that carry that sort of thing. Moving or rental truck companies often sell furniture bags or wrap and tape. Bed bugs can be an endless loop in multi-tenant housing. You don’t want to sprinkle bed bugs around your house or building. That would not only extend your own infestation, but possibly spread bed bugs to other tenants, who in turn can give them back to you in a year or so., if they haven’t successfully gotten rid of them.